How can you can be as productive as ever in real estate sales? It's simple. Have a strategic conversation every week, every month, and every quarter. The conversation is that of accountability. Allow me to give you some history. In April of 2011 Keller Williams Realty International was at 80,000 agents. 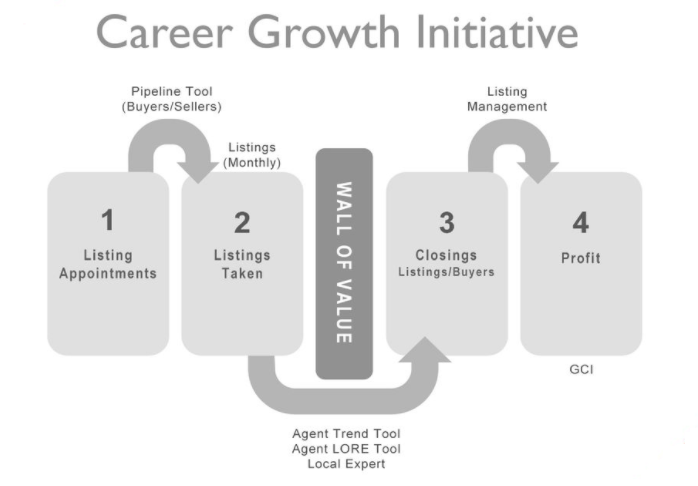 The Growth Initiative, which is a series of tools and conversations of accountability was created, and we SKY ROCKETED to the world's largest real estate franchise by agent count, and highest in units and sales volume in the U.S.
Now, was it the conversations alone that achieved this high level of growth? No. It was the activities, and the individuals being held to an achievable standard. This is exactly what the Career Growth Initiative is all about. Bringing the proven Growth Initiative tools to you, and you holding your sales business accountable for your desired results! In the Career Growth Initiative (CGI), the Four Conversations are used for collaborative evaluation of the effectiveness of present actions, their outcomes and how they compare to the initial goals. 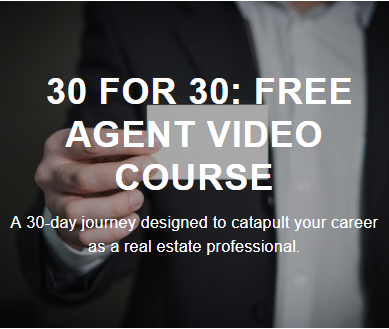 These conversations are an effective catalyst for strategic new actions for agents. Who is holding you accountable? Your Team Leader? Your coach? Your Team members? Your peers? Your Productivity Coach? It is vital that every person in the role of an agent or a sales team member is held accountable for results. Being held accountable isn't always looked at as something positive, or fun. Yet, it is imperative that as we we hold ourselves, our staff, our business, and EVERY dollar we spend on our business accountable for results. I would encourage you to view accountability differently as your business moves forward. Instead of seeing accountability as a daunting task, look at accountability as an opportunity to say "You can count on me". Be BOLD, be driven, be focused, be strong, and be accountable!